TRAVELING WITH KIDS is always an adventure. We love to travel with our little family, it’s such a special time to make memories, explore together, and spend time just as our little family unit. With how crazy things have been while Sam finishes residency we haven’t been doing as many worldwide adventures as we’d like but we have spent weekends at the farm or cottage, or visiting his family in Florida for a week or two every winter - often with me flying solo with the kids! All that to say I’ve learned quite a few tricks and essential items to have along the way. Bring more than you need! We love to bring small item snacks that will take them a while to eat, such as goldfish crackers, raisins, popcorn, trail mix etc. A little bowl of fishie crackers can occupy a solid 15 minutes of your trip, and every minute counts! This little lounger is a GAME CHANGER. I was given a complimentary dock-a-tot to review for you guys and all I can say is that I wish I had one for my other two babies, I can’t sing it’s praises enough! Designed in Sweden, it is adorable and comfortable - can we talk about the Oh Joy collab for this beautiful pattern?! It’s meant for lounging, playing, co-sleeping, and snuggling. The design makes it feel like the baby is snug as a bug (reminiscent of the good old days in mama’s tummy). It’s perfect for traveling as it makes for easy resting and naps while in different places. Already when we’ve gone to someone’s house, to the farm, or the cottage we’ve brought it and Honey loves it so much. It’s perfect for her to lay in and have her brothers come and snuggle up and say hi! We bought a couple of sketching boards for the boys when I was doing a six hour drive alone with the boys last year. These are a dream since they are compact and we can play lots of different games with them. And the Dollar store is your best friend! We buy little Dino figurines, stickers, colouring books, play dough, glow sticks, slinkies, little books, etc and give them one toy every 30ish min to occupy them and keep things exciting! I AM SO excited to write this post!! 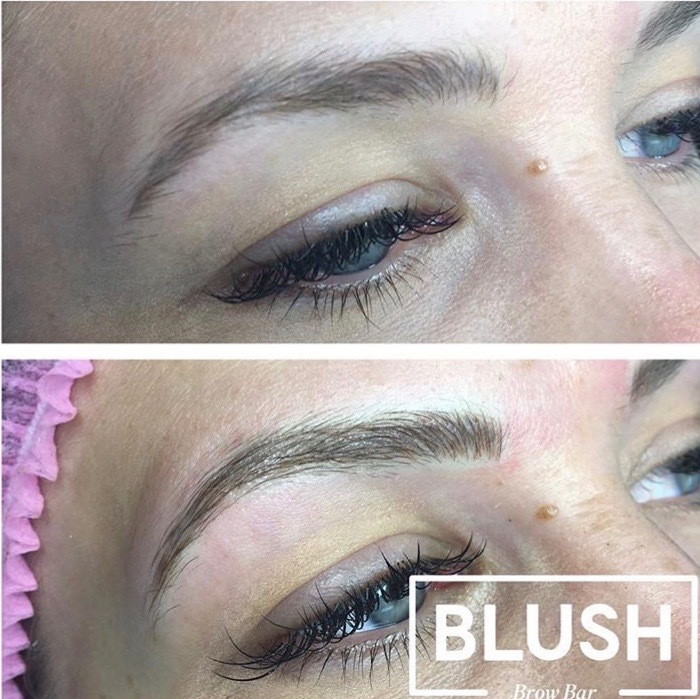 I've had so many questions in the months following my microblading with Blush Brow Bar so I thought I would share my experience of getting my eyebrows microbladed here for you all. Microblading changed my beauty game and has simplified my mornings so much! Brows are such an important part of completing your makeup and really change the way your face looks. Waking up everyday with perfect brows for the last four months has been so incredible. I'm literally obsessed with the shape and colour that Stephanie and I chose together and I can't recommend her and Blush Brow Bar enough. I'm just gonna throw this out there, that microblading is HANDS DOWN the BEST beauty investment I have ever made. The ultimate beauty life hack. BONUS: Blush Brow Bar is offering 10% off to all of my followers who book their microblading session booked in January, February, and March. Click here to book an appointment, and mention that you heard about it from Morgan Thrall. What is Microblading? Microblading, also known as Eyebrow Embroidery is a procedure categorized under permanent makeup, but unlike traditional cosmetic tattooing, it is less invasive and is considered semi-permanent. The procedure is done by using a hand tool with ultra fine needles and each ‘hair’ is gently etched into the skin, giving an incredibly natural and realistic look. Microblading can dramatically correct or fully reconstruct lost eyebrow and is excellent for those wanting to enhance their brows or who have little to no eyebrows, thinning brows from age or over tweezed brows. Pigments used are chosen to match the natural or desired brow color and skin tone will also be taken into consideration. Basically, microblading is a semi-permanent tattoo that reshapes your eyebrows with hair like strokes. Stephanie at Blush Brow Bar is AMAZING and creates literally the perfect shape of what you're looking for, PLUS her colouring skills are incredible. I've literally never seen such a nice custom blonde colour. Creating the shape of the brow. How long does it take? It takes roughly 2.5-3 hours on your first visit. Mine took about 2.5 hours from start to finish. During this session, they will create a custom shape and styleand make sure your eyebrows are exactly what you want them to look like. Then they create a custom colour based on your preference, skin colour and tone. I can't say enough how beautiful the colour is that Stephanie chose for me! Often blondes end up with orangey looking brows, but Stephanies blonde colouring is a DREAM. Leaving the colour on to set! Does it hurt? Everyone has a different pain threshold but they apply topical anesthetic throughout the procedure and I didn't find it painful! The first pass feels a little bit like scratching and then after that you don't feel anything at all! How long does it take to heal? It takes between 7-14 days for the brows to fully heal and about 1 month for the colour to fully set in and settle to the colour they will stay. After 4-6 weeks you go in for a touch up to perfect the brows, add any hairs that you want to, refill any spots that didn't pick up pigmentation, adjust the colouring if you want, and allow your brows to fully set in. How long does it last? Microblading usually lasts 1-3 years depending on your skin type (oily, normal, dry), age, and how you care for your skin. OKAY WE DID it. We dove head first into cloth diapering and I have to say, I LOVE them. We had cloth diapered Finn off and on with some Royal Fluff diapers that we owned already. But we didn't own enough to even diaper Finny consistently let alone diaper Atticus as well. So we bought a whole bunch of Apple Cheeks and have been cloth diapering them both for about four months now. COST: The initial draw towards cloth diapers was definitely how cost effective they are. We spent around $400 to use disposable diapers for Atticus in the first five months of his life. Both our boys have reacted badly to Pampers and Huggies so we have to use natural and biodegradable diapers (We started with Naty Care which we love but switched to Seventh Generation since they work just as well and are a bit cheaper). But once I did the math I realized that for $700 I could cloth diaper both boys (and all future children). So it is a large investment up front but it will save us thousands of dollars by the time we are done having children. ENVIRONMENT: It's no secret that cloth diapers are environmentally friendly which was definitely incentive to use them. We still use a disposable at night or when we are traveling but knowing that we aren't filling the landfills with more diapers makes this a really easy choice, only adding in three loads of laundry a week. CUTE: Okay, let's be honest though. One of the biggest draws to cloth diapering is just how stinkin cute they are!! The bright colours and the little bubble butts! I can't even. Not to mention Finny loves to pick out the colours that Acey and he will wear so they can be matching! They spend most of the day just in their diapers together and Finny walks around saying "Look Mama! Finny and Acey have matching diapers!" 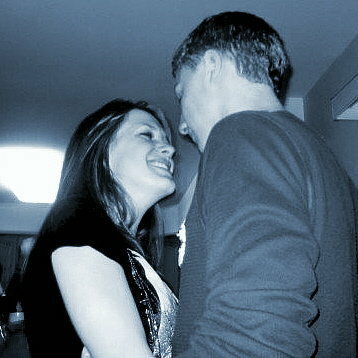 and I can't handle how cute they are. I KNOW... Most people's aversion to cloth diapers is the that they are gross. Well, yes, they are... BUT so is changing any diaper! As someone who has done both cloth and disposable I can say that I only marginally touch more poop now that I am cloth diapering. Using liners allows you to simply lift and drop the poop into the toilet, and if you don't want to incur the extra cost, I have found that simply inverting the diaper over the toilet 95% causes all the poop to fall into the toilet without having to touch it at all. The odd time I do have to scrape it into the toilet I use a wipe or toilet paper and it all goes down. I figure I always wash my hands after changing a diaper regardless of cloth or disposable so it makes very little difference to me. One of the reasons we love Apple Cheeks Diapers (and no, this post isn't sponsored, I just really love them!) so much is because the liners agitate out in the wash, MEANING once you have disposed of any solids you just put the diaper in the bin until you wash it... no fiddling with liners or inserts! This was a selling point with Sam who hated having to pull inserts out and borderline refused to use cloth diapers before. It really feels as easy as using disposable diapers! If you are interested in cloth diapering it is a GREAT week to buy them! Apple Cheeks are amazing and a great Canadian company (love shopping local!) and are available at WELL.CA which I love since they deliver right to your door for free! I recommend buying 14 size one diapers (they go through them faster since they have many little pees) and 12 size two diapers. Don't be suckered into buying the starter kits, they come with a bunch of things you don't need and won't use... You are better to either buy the bundle (that comes with a bamboo three fold liner) or to buy the covers separately and then enough inserts and boosters to have one insert and one booster in each diaper. Definitely go for bamboo as terry just doesnt have the same absorption! HOW TO: I use one bamboo two-ply, three fold insert plus a booster for each diaper. I fold the bamboo insert in three (like a letter for an envelope) and then fold the top of the folded insert down to make it extra absorbent (see photo). Then I just insert them into the diaper and voila! Cutest tushies in town! Feel free to comment below or ask me any questions and I'll do my best to help!